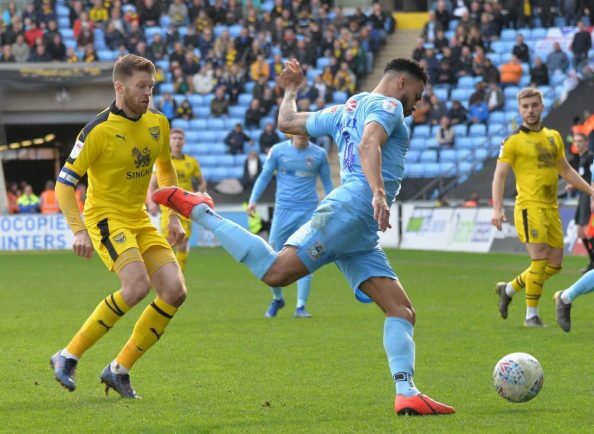 Jordan Willis (left) and Dominic Hyam defend against Oxford United. Pictures by Jon Mullis. Dominic Hyam and Brandon Mason defend another Oxford attack. 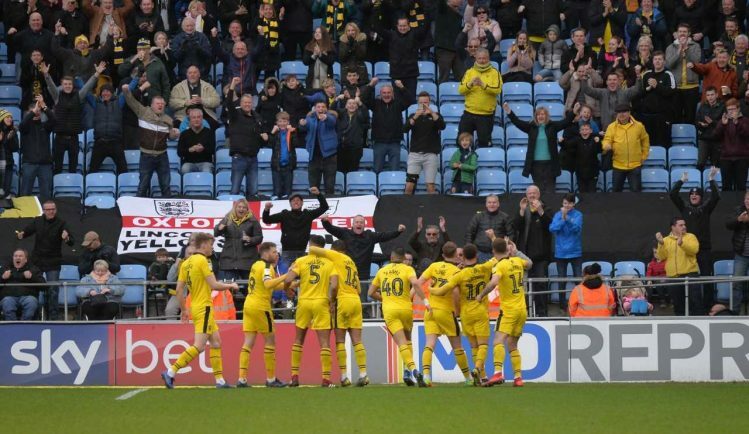 Oxford celebrate Ricoh Arena winner. 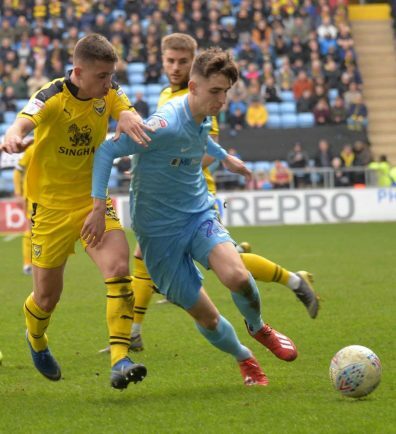 Coventry City captain Liam Kelly versus Oxford United. Pictures by Jon Mullis. Bright Enobakhare v Oxford. Picture by Jon Mullis. 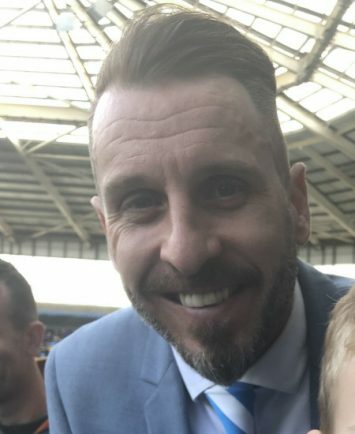 Darren Huckerby at Coventry City Legends' Day 2019 on Saturday. 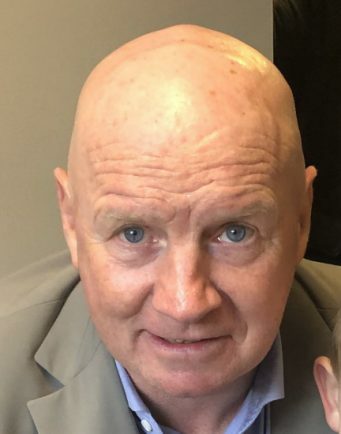 David Speedie at Legends' Day 2019. 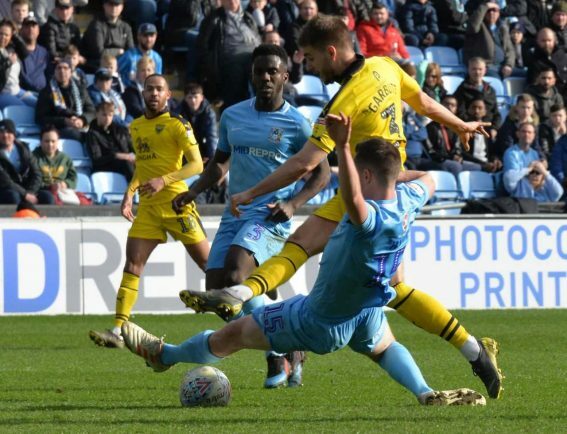 COVENTRY City go to Barnsley on Saturday with their play-off hopes still very much alive – but dented by a missed opportunity against relegation-threatened Oxford United at home on Legends Day. 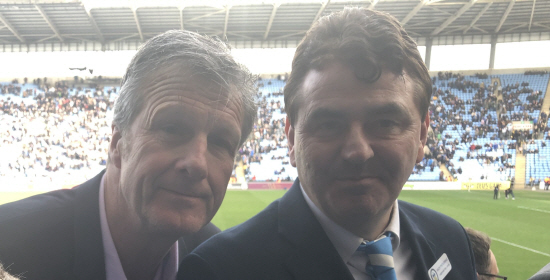 Watched by the greats of previous sides including Keith Houchen, David Speedie, Jim Blyth and Darren Huckerby, Mark Robins’ young team slipped to a 1-0 defeat and drop to ninth in League One, two points outside the play-off positions before Doncaster’s game on Tuesday night. Their second defeat in nine games came in a scrappy game of fine margins when City failed to replicate their attacking flow and intensity. Missed chances early in the first half, particularly from young wide-man Luke Thomas who could have scored a hat-trick, were to prove costly, the Derby loanee’s end product again failing to match his higher-level speed and work rate. 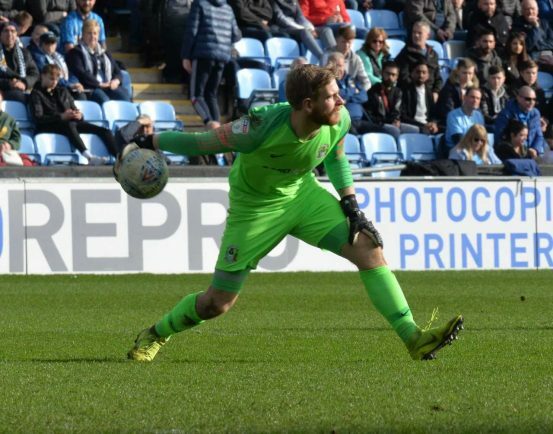 The goal came from lapses by centre-back Dom Hyam in conceding a corner from a mix-up with keeper Lee Burge, and by Burge himself who appeared to let Curtis Nelson’s far-post close-range header slip through his hands on the goal-line on 57 minutes. 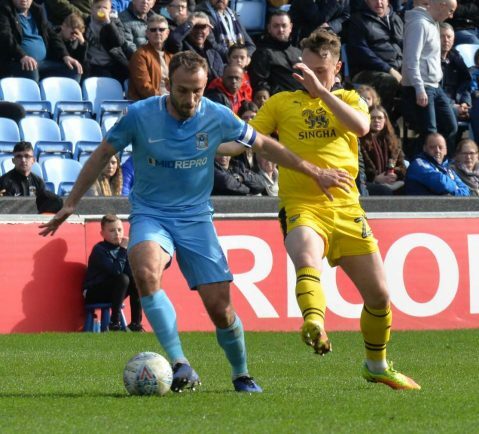 Coventry City had gone into the game unchanged and full of confidence after an impressive win away at promotion rivals Peterborough the previous Saturday. But Oxford United, backed by a strong away following, came with a game plan and plenty of determination. After weathering the storm in the first 15 minutes – including Bakayoko’s header which rattled the post – the Us took control with defensive and midfield organisation and plenty of disruptive strong-arm tactics. 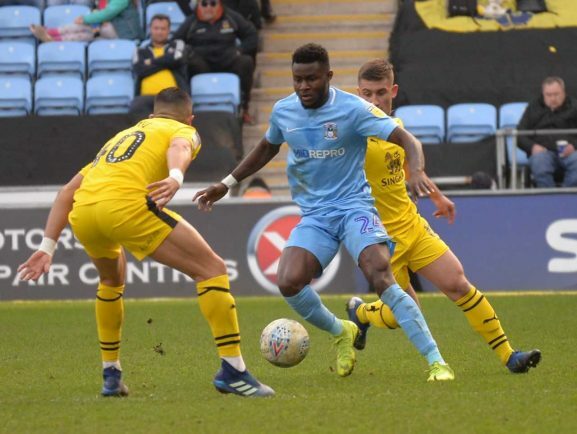 There were strong performances from left-back Brandon Mason and the highly talented Wolves loanee Bright Enobakhare, but too many Coventry players appeared slightly off the pace on a slow paced and tacky pitch. Speaking after the defeat, Robins said: “We started off brilliantly, and could have been two or three goals up but did not take those chances. 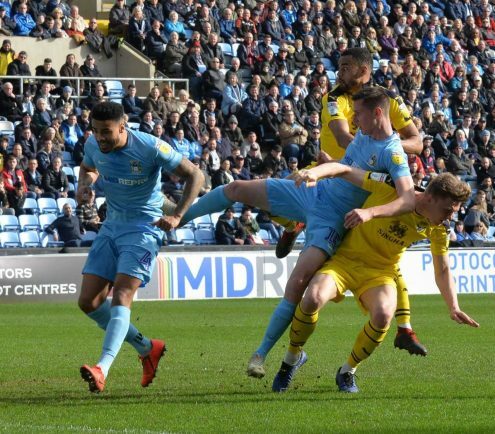 “The game then settled down and they [Oxford United] gained a little bit of a foothold although they did not create a great deal in the first half. “Their goalkeeper then made a really good save in the first few minutes of the second half, and from then on we did not create enough. “It is a disappointing defeat in the end. “They came with a game plan which was to frustrate us and to break up the play when we were on top. “They managed to slow things down a bit but at the end of the day, that is the other team’s prerogative – to try and get something out of the game. “We are the masters of our own downfall really, because we could have been a little bit more clinical. You look at the teams at the top, Luton scored four today and are ruthless in the final third, and we are not. “We have been on a really good run, and when it matters you want that performance to be there. “The last seven games are going to be nip and tuck and there is no doubt that we will have some good performances.